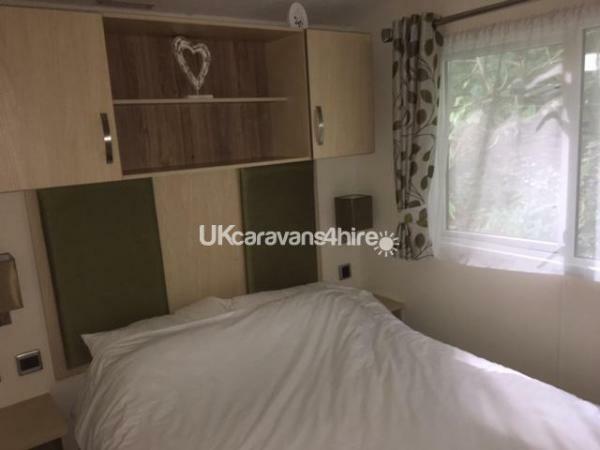 A non-refundable deposit of 25% of the total holiday cost to secure the caravan. The remainder to be paid 5 weeks prior to the start of the holiday. 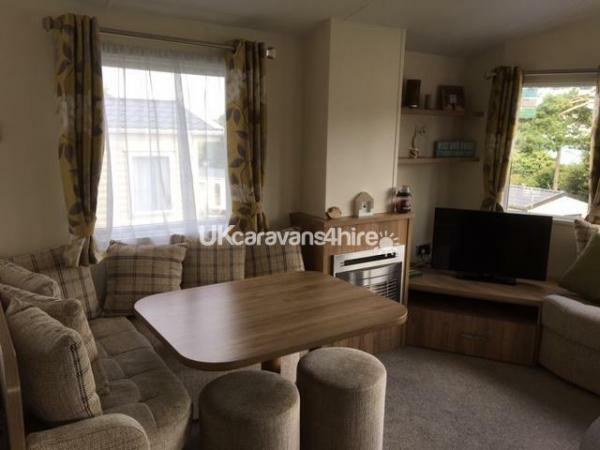 This very well kept and comfortable privately owned caravan is on a quiet family caravan park where you can enjoy a restful holiday. The park is set into the valley with picture postcard views from the park with fantastic views over the sea from your lounge window. 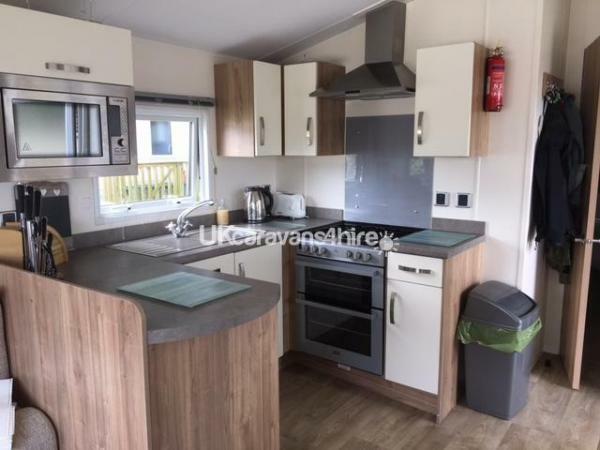 The caravan is fully equipped with all the necessary kitchen equipment, TV, DVD player etc. We provide duvets and pillows and bed linen. 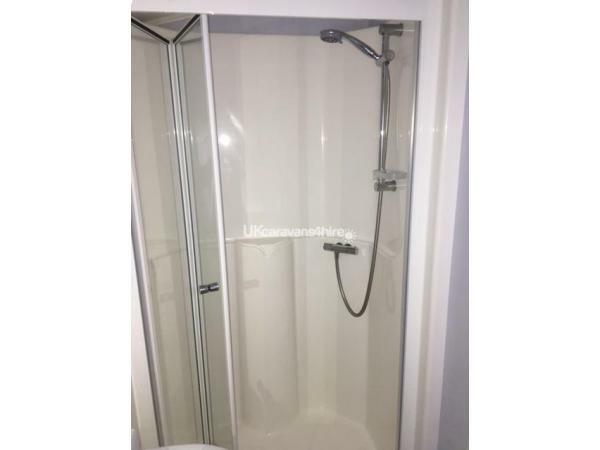 You will need to bring towels, washing up liquid etc. 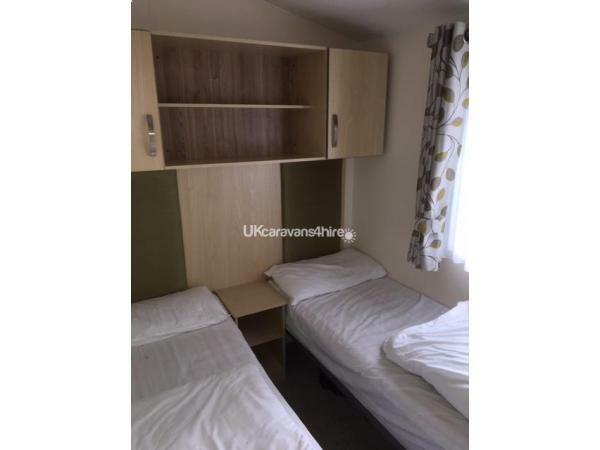 There is one double bedroom with a walk in wardrobe and access to the bathroom, a twin room and a pull out double bed in the lounge. 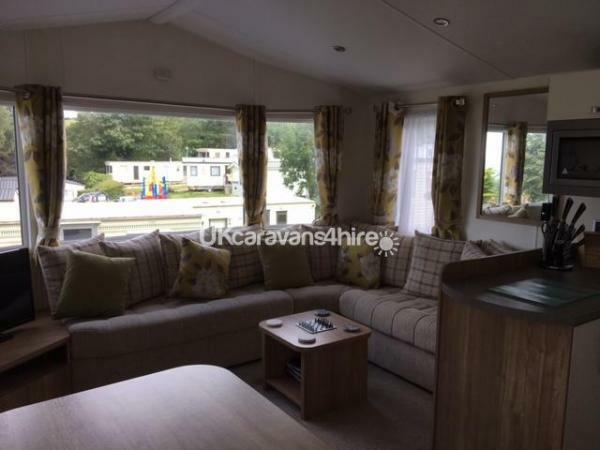 It is centrally heated and has a gas fire. 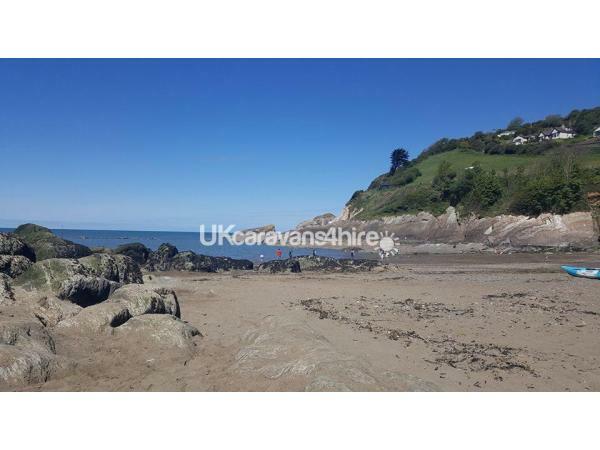 It's a 5 minute walk to the beach and into the village of Combe Martin with lots of places to eat and drink. Explore the rock pools and caves when the tide is out. Sea kayaking is popular and lots of places to hire them locally. There is direct access onto the South West Coastal Path and a short (but very steep) walk will take you to the top of Hangman's Hill, the tallest seacliff in England. There is a clubhouse selling food and drink together with a pool table and some amusements. There is entertainment in high season. There is a play area for younger guests and a heated swimming pool and toddler pool, overlooking the sea. Guests can also enjoy the facilities of the sister park, a 2 minute drive up the road. It's a short drive into Woolacombe and Ilfracombe. Combe Martin is on the edge of of Exmoor National Park. Walking, Kayaking and fishing are on the doorstep. Please note that this park is not suitable for people for mobility issues as there is a steep slope up to the park - which make the views worthwhile! 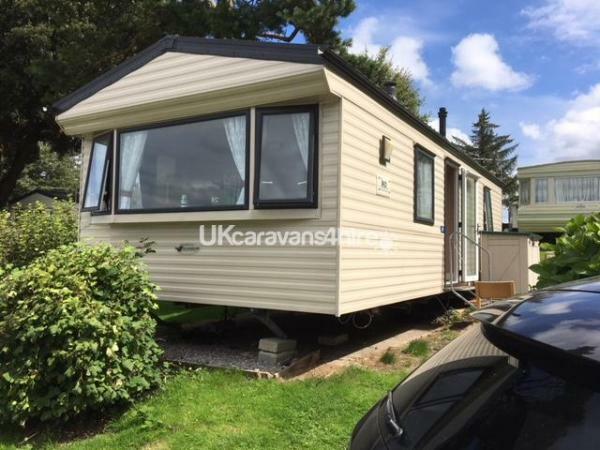 The key is located at the caravan and you will be issued with the code before your holiday. No reviews found. 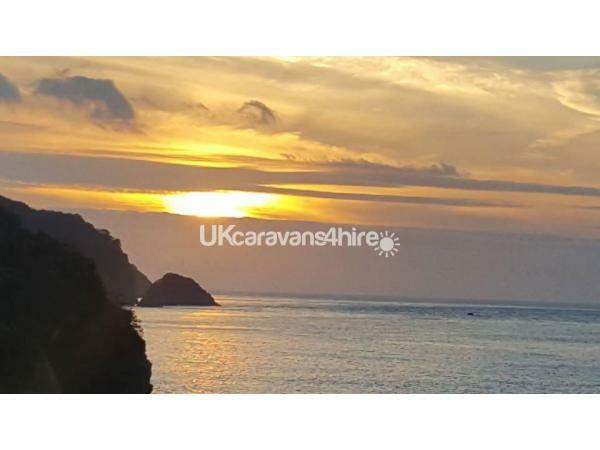 If you have recently stayed in this holiday home please leave a review, it only takes a few moments and will really help future guests when they are searching for holiday accommodation at Combe Martin Holiday Park.